Buying a house is taking the biggest bite out of our budgets in nearly 10 years — and once again, the Standard & Poors/Case-Shiller national home price index reveals home values are steadily trending higher. The index recorded a year-over-year gain of 4.7% in August. Meanwhile, a measure of affordability ticked down, indicating homebuyers are still facing a difficult housing market in many areas of the country. Comparing real income growth to seasonally adjusted home prices, as measured by the S&P/Case-Shiller index, yields a measure of home affordability. 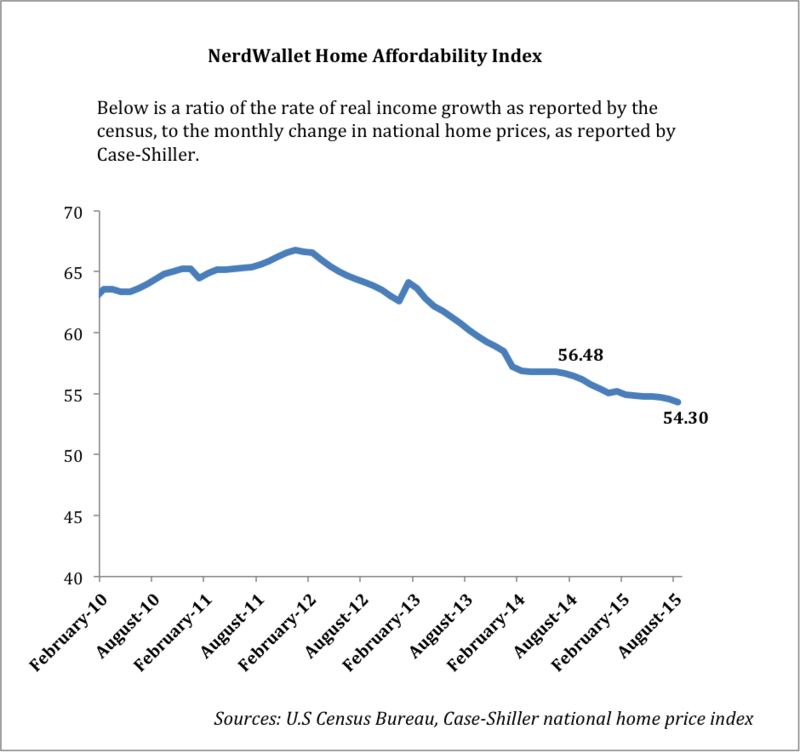 The baseline of the NerdWallet Home Affordability Index is 100 points, calibrated to home affordability in the year 2000. 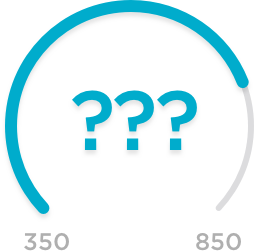 A higher number indicates greater affordability, while a lower number indicates less affordability. In August, the index stood at 54.30, down from 56.48 for the same month in 2014. 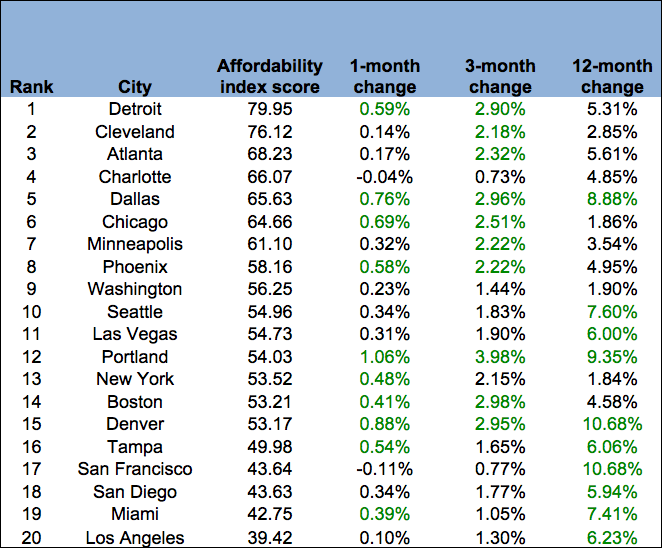 By using home price data from the 20 metropolitan areas analyzed by the Case-Shiller index for August 2015, we’ve ranked cities according to our affordability index. Comparing that with monthly and annual growth rates in home prices allows us to see which cities are currently more affordable, and which are seeing the most increases in home prices. Cities with the highest NerdWallet Affordability Index score are the most affordable — remember, the higher the rating, the greater the affordability. However, many of these cities are starting to see greater price appreciation. The top 10 highest growth values for each category are highlighted in green, and the rank is sorted according to the cities with the most affordable income-to-housing-price ratio. Hot markets such as Los Angeles, Miami, San Diego and San Francisco are still the least affordable cities to buy a home, but price appreciation in those cities is finally beginning to slow just a bit. For example, prices appreciated almost 10.7% in San Francisco over the past year, but the growth rate over the past month was negative and over the past three months was under 1%. Meanwhile, in some long-affordable cities such as Detroit and Dallas, housing prices are starting to increase meaningfully. Low inflation is a good thing, but with home prices heading higher, housing budgets are taking a hit. In fact, new home sales dropped more than 11% in September, according to the U.S. Census Bureau. Richardson says Redfin’s own research is showing that fewer people are touring houses. “Those who are have less to choose from, but they’re still making offers,” she adds. Buyers may pore over home loan calculators and home affordability tools, but the challenge is to stay on budget when the serious home buying negotiations begin. Does that signal a slight adjustment in the long-rising price trend? “We think that price growth will slow slightly in coming months to something approaching normalcy of about 3% to 4% per year,” Richardson says.